How to Tackle Summer Learning Loss in Mathematics! It’s the start of the new academic year, and a new teaching schedule beckons. You’ve got exciting new topics to cover with your children, and they’ve come back refreshed and raring to go. Although that’s not quite how the story goes for many. They may in fact be a little too well rested. I’m talking about summer learning loss, or the dreaded ‘summer slide’— the nemesis which can leave you trudging through old notes and wasting precious time revisiting topics you thought, hoped, you had put to bed before the summer break. Why does this happen? Am I at Fault? We’ve found that the cause for summer learning loss can run deeper that simple holiday inertia, being heavily influenced by a child’s home-life outside of the school walls. There is mounting evidence which now points towards a substantial disparity in summer learning loss in mathematics and reading between children in low and high-income households. Those in the lower income band are losing around two months in reading and mathematical skills over the summer, whilst higher income students often only lose 1 month! These kids often don’t have the same access to the academically enriching activities that their high-income counterparts may have; holidays, gallery or museum visits, or simply dinner table conversations on academic topics. This puts students at a huge disadvantage starting the new year, and for some this may be lost learning which they have a huge problem catching up with. When you combine this with the common finding across numerous students that results in tests at the end of summer are dramatically worse than those at the start, the realisation occurs that we’re facing a real issue here. Not only for the prospects of children throughout school, but also in terms of teaching time and 1:1 interventions, which it’s estimated come in at 4-6 weeks having to be spent re-teaching material. Mathematics… Tell me More About Learning Loss in Math! Who can blame children for putting their learning on pause during their hard-earnt break? The summer is a time for seeing friends, sleeping, watching TV all day, and more sleeping. But this isn’t to say children should put their brains completely on standby. In mathematics, an average of 2.6 months of learning is lost over the summer break, and it is easier across the board for children to lose mathematical skills than reading, regardless of their background. The reason for this level playing field is the mentality of both students and parents accompanying mathematics; that it belongs within school, and finding a place for mathematics outside of an academic housing is also a challenge for many parents. It’s common practice to read with your child before bed, but when was the last time you heard of a parent going through some algebra before tucking their child in? It’s just not something you can easily build on in a casual or informal way. Unlike reading for example, which can be easily sewn into the everyday of family life, finding mathematics in everyday activities requires thought and awareness, and cannot be acquired indirectly. This results in a disengagement with mathematical thinking for quite an extended period of time. The upheld belief is that mathematical results slip due to students forgetting procedural knowledge. That is, not what long division is as a concept, but how to go about carrying out the necessary steps to produce the answer. And remembering procedures requires more than casual mathematical parallels in everyday life, or summer homework. It requires recursive practice. So whether your a parent or a teacher, here are some handy tips to try out this summer and the next! To keep on top of this, parents can involve children in mathematics whenever possible. Such as: working out the gratuity on a restaurant bill, calculating a player’s average score on TV, and working on measurements when cooking or distance when driving. Summer homework of course will also go a long way in maintaining understanding, and needs a supporting and encouraging hand from parents. However, something which ensures a child’s continued engagement with mathematics outside of school in an on-target, standards aligned way, is game-based learning. Motivating without parental pressure and supportive through built in feedback, a good game-based digital platform can play a hugely positive role in counteracting summer learning loss in mathematics. A teacher can set summer work on a game-based learning platform and instead of it feeling like time wasted during their break to do school work, students will be much more inclined to spend a fun hour or two completing a level or beating a boss. With clever algorithms which recommends work and guides students down a learning pathway in line with your teaching objective— outside of direct instruction— a platform like Mangahigh ensures students can even learn autonomously during the summer. This is the magic of turning learning into playing. And with playability on all handheld devices, a student can quickly complete a few worlds or challenge some friends whilst on boring car journeys or lazy Sundays. One good technique used by one school in the Mangahigh community is to start teaching next years material in their last term. For them it cuts out a lot of wasted learning time following exams at the end of term. Rather than having a clean break and a new focus in the next academic year, students see learning as a continuum. We think this is a fantastic approach and at Mangahigh we never restrict activities, and encourage independent study, whether that’s revising previous topics or looking at upcoming work. Having the whole range of Mangahigh’s curriculum at a student’s disposal is perfect for brushing up on what they’ve learned, but also in looking towards the coming year’s work. Lots of schools encourage a summer scrapbook, this can include mathematical ideas or a project on a famous mathematician like Ada Lovelace, for example. This can be something a parent can encourage or help them to put together too. Why not look at mathematics they have encountered in everyday life, seen in magazines or newspapers, or on TV too? Encourage sketches, clippings and more! The important trick here is to maintain a good balance between fun and relaxation whilst keeping education on track. In this way students remain engaged with the subject and open to learning without being put off by feeling like their holidays are being spoilt by the one thing they were happy to have a break from! There's ONLY 5 days until the start of our fantastic competition: the South Asia Maths Ninja Challenge! If you haven't signed up yet you've still got time! Sign up now! All competition questions welcome! Perhaps you're unsure of who can get involved? Just ask! 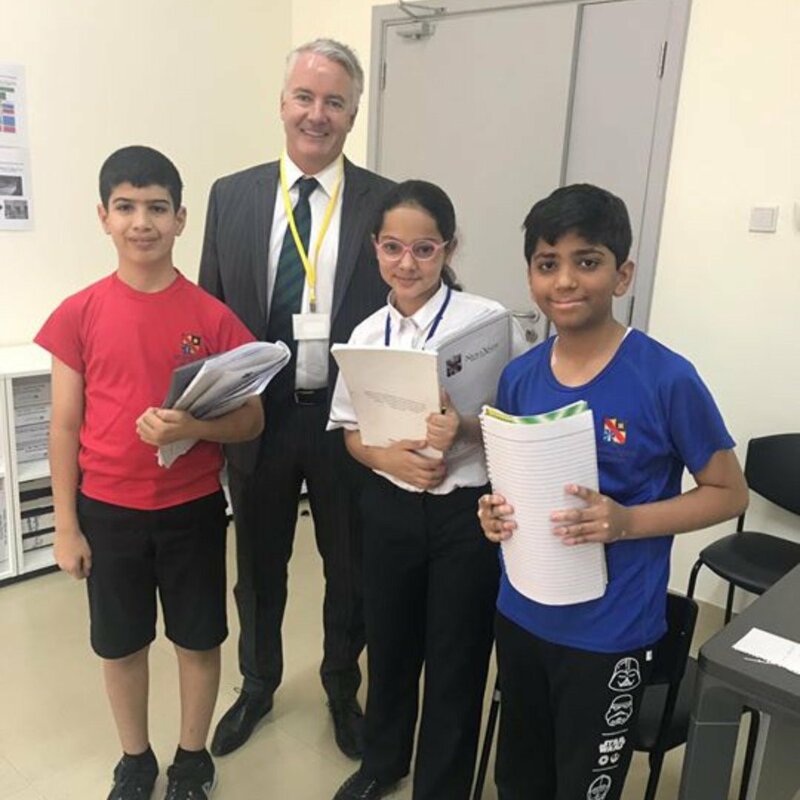 It was fantastic sending Matt to @newlands_dubai as it's always an honour visiting schools across the world to see how they're using Mangahigh - it's especially nice when the schools we visit are really friendly! We hope you're enjoying the Easter break - we thought this would be the perfect time to ask us any questions you may have about the Cracking the Code competition? 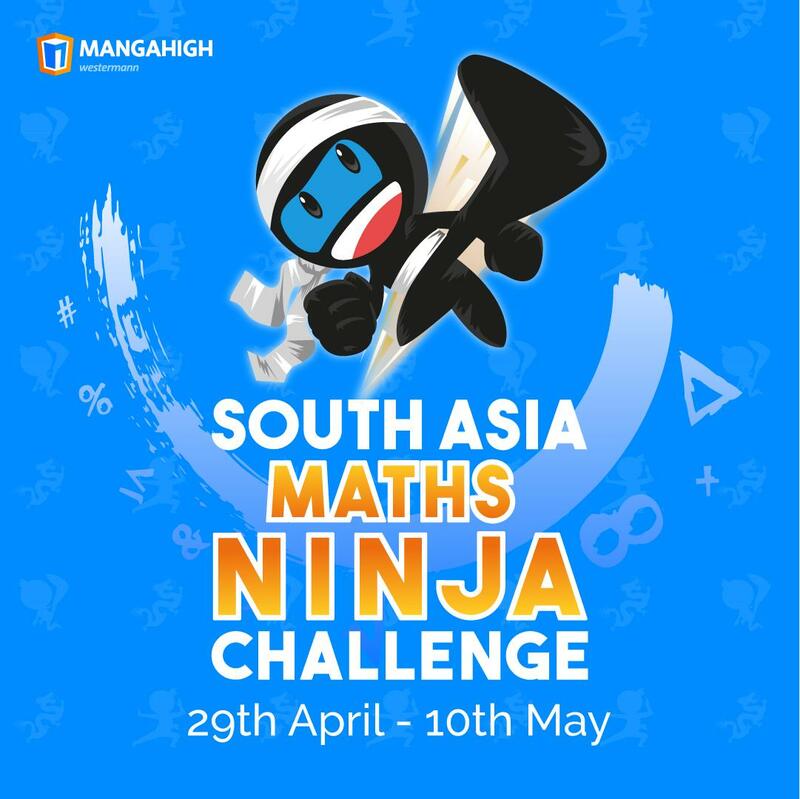 The clock is ticking - you've got under two weeks until the start of the South Asia Maths Ninja Challenge, have you signed up yet? Use the link below to ensure your school is involved! 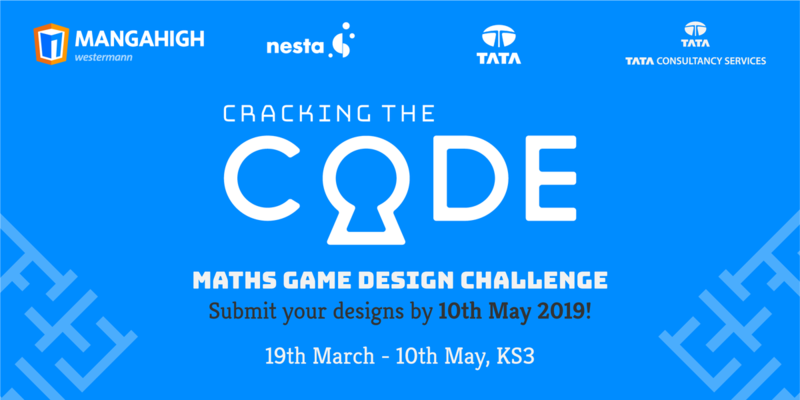 If you're making plans for next term why not include Cracking the Code for your KS3 students - this competition will challenge them and reward them with the chance to have their game made!